The Toronto Symphony Orchestra is world-class and their recent infusion of young new players really livens things up down at Roy Thomson Hall (always a fun venue to visit). I’m partial to new associate principal bassoon Darren Hicks and our recent spotlightee principal flute Kelly Zimba. And if you haven’t googled associate principal clarinet Eric Abaramovitz, you should go do that right now; he has a beautiful solo in the current “Best of Hollywood” program’s highlight piece from Nino Rota’s incomparable Godfather score. The whole program is beautifully played and the sweeping orchestral scores presented in rare form without their visual accompaniment are really something to breathe in. Guest conductor Richard Kaufman’s daughter Whitney Claire Kaufman provides strong vocals for a few Best Original Song nominees but her hammy theatrical comfort zone pinpoints the program’s biggest flaw in its lack of selection diversity. The songs are all Disney or Judy Garland, straight out of the standard mezzo-soprano songbook, when the actual history of the Best Original Song Oscar category is surprisingly varied. I’m not expecting Kaufman to kick off her sparkly heels and get down with “It’s Hard Out Here for a Pimp” but it felt strange to get seven relatively similar musical theatre-y selections to represent the film landscape when more varied classics like “My Heart Will Go On”, “Into the West”, “Skyfall”, “The Way We Were”, or so many others still would have been pretty safe picks for Kaufman’s vibe and range. The same constraints seemed to apply to the score selections with the elder Kaufman really sticking to mid-twentieth century leaving more modern options unexplored like Reznor & Ross’ inventive atonal work for The Social Network or Jonny Greenwood’s classically influenced Phantom Thread masterwork that is maybe the most symphony-orchestra-appropriate score ever imagined. It’s hard to knock some of the all-time classics that did make the cut- Ben Hur, ET, The Magnificent Seven– but adding a bit more style diversity and modernity to the lineup would help this excellent showcase of an oft-overlooked realm of sophisticated composition feel less like a greatest hits album. 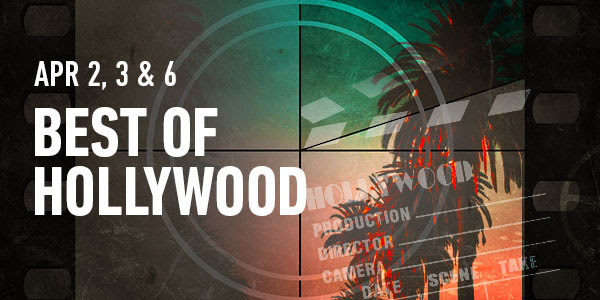 The TSO’s “Best of Hollywood” program returns for a final performance on Saturday, April 6th.